If you were to talk to a printing expert, a brochure, a flyer and a catalog could mean 3 separate things. 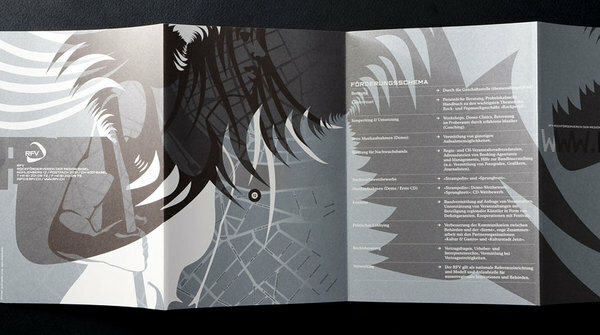 The word brochure would refer to single paged print out that has been folded into two or more panels. A single page print that isn’t folded will be called a flyer. Multi-paged print outs that are both folded and bound together through stitches, staples or wires, will probably be called a catalog (or a booklet). Those different terms has been used interchangeably since forever, but for today let’s focus on the folded, single-paged sort. In this article, I’ll refer to them as brochures. Design samples are at the end of this long introduction. Brochures are usually used in all sorts of promotions. They’re easy to give-away outdoors or kept on rack displays indoors. For people who have the need to share lengthy pieces of information, brochures also conveniently lets them separate these data into sub-categories using different panels. Brochure printing is also relatively cheap and there are several finishes you can choose from. You can also mail brochures by either inserting them inside envelopes or by roll-folding them and placing tabs or wafer seals on the edges. In truth, brochures are very useful and cost-effective means of promotion of any company or individual in any industry. UPDATE: 404 items were removed. We’ve updated the links and added new images. Enjoy, Creatives!